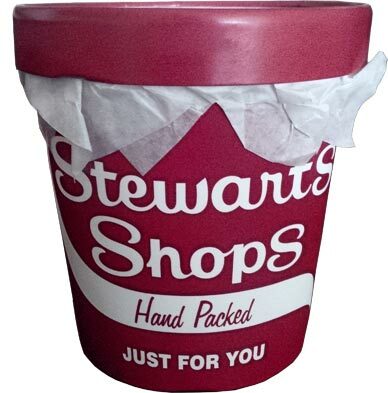 You see, a lot of people have mentioned Stewart's Happy Camper Ice Cream to me. I tried it when it originally debuted about 4 years ago but before I wrote for OSS and before I really thought of what I was eating. My girlfriend who works at Stewart's and also loves this flavor surprised me last week with a handpacked pint of Happy Camper that she did herself. 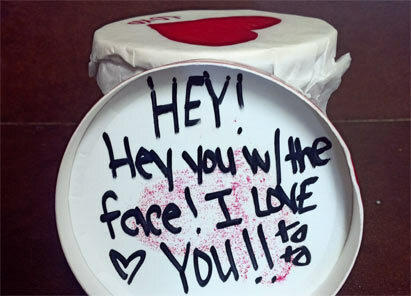 She even included a cute little note on the lid and ‎a drawing on the protective paper. This is how you know you have a keeper. Seriously, she's perfect and I'm thankful to call her my girlfriend. Okay, sappy note aside, time to get to the ice cream! Just read the description. Like I said on the show, it's essentially peanut butter s'mores and I have no problem with that. They use the same graham cracker flavor loaded base as their Crumbs Along The Mohawk I love so much. 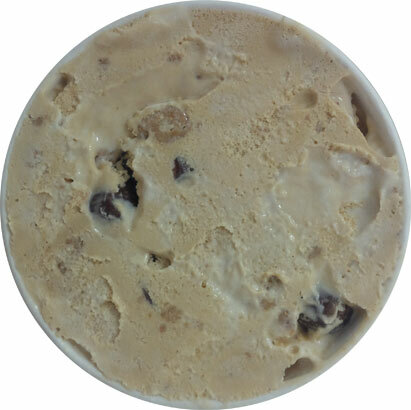 It's awesome just how much it resembles a graham cracker in flavor and texture due to the added graham cracker chunks in the base. They swap out the caramel swirl for a marshmallow one and oh man is it awesome. While it's not super thick or gooey like other brands, the flavors is like a marshmallow straight from the bag. I honestly prefer it to Ben & Jerry's normal marshmallow swirl. The flavor is just so spot on and with the graham cracker base, it's building up to that classic s'mores flavor profile nicely. 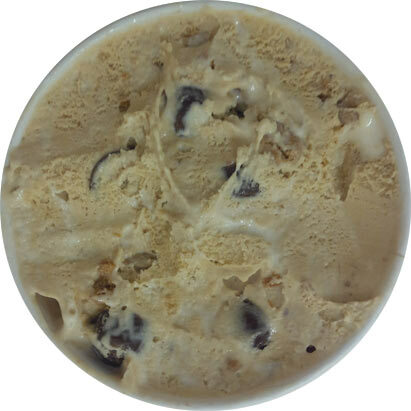 To finish it, there are tons of peanut butter cups in the ice cream. Now, I can't say my experience with the amount of peanut butter cups I had will be the same as everyone else's seeing as my girlfriend did pack my pint. That said, there was at least one in every other bite. They reminded me a lot of the semi new reese's minis in size and flavor. The chocolate coating alone is enough to give you the s'mores vibe. It's a milk chocolate and a lot higher in quality then I was expecting. What makes this one stand out is the actual peanut butter. That sweet and salty combo mixed with all the other components give you the perfect replica of a peanut butter s'mores. This is easily the best flavor I've had from Stewart's in my life and might just be my favorite seasonal ice cream as well. That goes for every single season, not just summer. Dear Stewart's, it would be awesome if this was available all year round. Just a suggestion. Oh, that and I believe my girlfriend deserves a promotion. How many of your employees put such love and care into making your customers happy? Alright, if you have a Stewart's near you, get this before it's too late. This sounds like the best ice cream ever! I demand more companies to make graham cracker base ice creams because that could be the next big thing. They actually say graham cracker pie crust pieces, which I think is noticeably different than straight graham cracker pieces, more crumbly/fine, which I think works brilliantly in ice cream, so much so that I can't wait to buy a graham cracker pie crust to bust up in some homemade ice cream. Stride, graham cracker bases might be rare but there are a handful of them out there if you look hard enough. SchenectaDana, eh I see no difference between them and the graham cracker pieces in the Crumbs Along the Mohawk. I just think they wanted to make it sound different from that flavor if you ask me.